Heart Failure is a serious condition in which your heart fails to pump blood sufficient enough to meet your body’s oxygen needs. It is also called as the congestive cardiac failure, right side heart failure, left side heart failure or cor pulmonale. Heart Failure occurs when the heart cannot relax properly to fill in enough blood (right-sided heart failure) or cannot contract properly to pump out enough oxygen-rich blood (left-sided heart failure) or due to a combination of both problems (congestive heart failure). As heart becomes weaker, toxins build up in the body, which worsens the symptoms. Currently, there is no cure for heart failure. However, it can be managed by medications and lifestyle changes to allow you to lead a normal and active life. 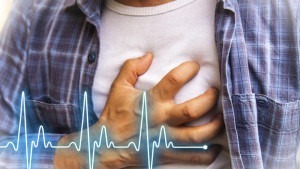 Heart failure is treated by cardiologists. However, your regular doctor can help in diagnosis, and in managing your medication and treatment. The heart has four chambers, two upper (right and left atrium) and two lower (right and left ventricle). In normal condition, the right atrium receives oxygen-poor blood from the body, pushes it to the right ventricle. From the right ventricle, the blood is pushed to lungs through pulmonary arteries for purification. Oxygen-rich blood from the lungs fills the left atrium. This blood is pushed to the left ventricle which contracts to push the oxygen-rich blood to the rest of the body. In left side heart failure, the heart fails to contract or relax properly. When the heart does not contract properly, less oxygen-rich blood is pushed out to the body. The excess blood accumulates in the left ventricle and atrium. This creates a backward pressure and pushes the blood back into the lung. Thus fluid accumulates in the lung. In right side heart failure, the right atrium and ventricle fail to relax properly. Hence they are unable to take the oxygen-poor blood from rest of the body. This causes a backward pressure such that fluid accumulates in the body, especially in feet, ankle, legs, and abdomen. Usually, both right and left sided heart failures are present at the same time. However one may be more prominent than the other. Early diagnosis and treatment improve the lifespan and quality of life. The diagnosis is made on the basis of medical and family history, physical examination and certain tests. Electrocardiogram (EKG/ECG): This simple test helps to record your heartbeat. It tells the doctor about irregular heartbeats, fast beats, previous heart attacks, and problem in the conduction of impulses in the heart. B-type natriuretic peptide (BNP) Blood Test: BNP is a hormone whose level rises during heart failure. The test can also be done to monitor the progress of treatment. Echocardiography (ECHO): This is like an ultrasound of heart where your doctor can see your loving heart. This test tells your doctor about the size of the heart and its chambers, the thickness of the walls of the artery, contraction of the heart, mixing of blood, previous heart attack, a force of blood flow etc. Water pills or diuretics: remove water from feet, ankles, legs, abdomen, and lungs. Angiotensin-converting-enzyme (ACE) inhibitors: lower blood pressure, reduces strain on your heart, reduce the risk of heart attack. A Heart-Healthy Diet: You can ask the dietician in your health care team to make customized diet plans for you. Otherwise, you can follow these simple tips. Opt for lean cuts of meat/poultry, fish, seafood, eggs without the yolk. You may be asked to weigh yourself daily while you are being treated. Also, whenever you see any swelling in feet, ankle, legs, or abdomen, please start weighing yourself every day, same time, wearing the same type of clothes. Keep a record of your weight.